Whether it is a very hot day (at peak afternoon hours) or a cascading downpour (heavy rainfall), whether it is at the crack of the dawn or at midnight 12, you can be content our cab drawing up to your destination to pick you where you are, or where ever you want us to pick you from your Destination One day cabs in Hyderabad one day car rental in hyderabad. call taxi in hyderabad airport taxi outstation taxi in hyderabad cabs near me best cabs hyderabad, telangana, full day taxi cabs in hyderabad ramoji film city cabs best airport cabs, best city cabs hyderabad, telangana half day city tour half day cabs in hyderabad. We are the first choice for customers who look forward to receiving efficient, budget-friendly and reliable cab services in Hyderabad. We are renowned for providing cab services which our customers can easily afford. Our prices are always fair always preffer Full Day Cab in Hyderabad. full day taxi cabs in hyderabad ramoji film city cabs best airport cabs, best city cabs hyderabad, telangana Harsha Travels (Call Taxi), Secunderabad, Hyderabad, Telangana. 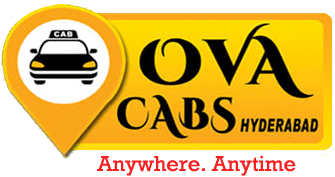 Call Taxi Cab Services in Hyderabad with Ova Cabs Hyderabad Outstation Services in Hyderabad One day cabs in Hyderabad one day car rental in hyderabad Round Trip Tour.